There are many essential vitamins and minerals, and they are all vital for our health. Ensuring we get enough of these nutrients is one of the most important things about nutrition. This article will provide a list of every essential vitamin and mineral, and explain what they do and the best foods to eat for each one. Additionally, we will explore the differences between the various kinds of vitamins and minerals and their characteristics. Firstly, let’s examine what vitamins are. There are two main types of vitamin, and these are known as either ‘fat-soluble’ or ‘water-soluble’ vitamins. Fat-soluble means that the vitamin is soluble in lipids (fat); these vitamins require fat to be carried and absorbed by the body. Notably, fat-soluble vitamins tend to stay in the body for a more extended period of time, and this makes overdose/toxicity more likely if people over-consume them. On the other hand, water-soluble vitamins can be dissolved in water. Our body quickly excretes these vitamins after using them; they are carried around our body, but we do not store them for long periods. Vitamins are essential because our body cannot make them. Aside from vitamin D (sunshine is a source) and vitamin K (made in small amounts by gut bacteria), we can only get vitamins from our diet. Furthermore, these compounds are critical for a wide range of biological processes. Among these processes are vital functions like cell growth and repair, reproductive health, energy conversion, and immunity. Key Point: We can only get (most) vitamins from the food we eat, and sufficient intake is critical for our health. The chart below shows a list of essential vitamins alongside their chemical names and their solubility. Let’s now look at each vitamin in a bit more detail. Retinol: Often referred to as ‘pre-formed’ vitamin A, retinol is the most bioavailable form of vitamin A, and we can find it in various animal foods. Carotenoids: Carotenoids, such as beta-carotene, are found in plant foods and they can be converted to retinol inside the body. Carotenoids are often referred to as “provitamin A.” However, it is worth bearing in mind that the conversion rate from carotenoids to retinol is unreliable. 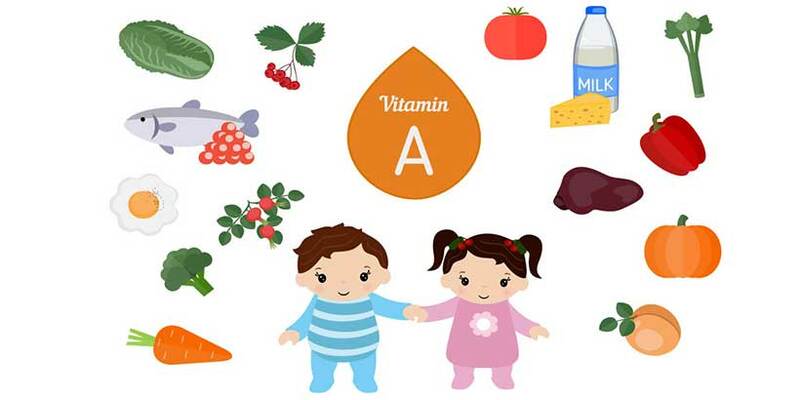 As a result, animal foods are the best source of true vitamin A (1). The RDA for vitamin A is set at 900 mcg (3000 IU) for retinol sources. However, this rises to 5400 mcg (18000 IU) if solely getting carotenoids from plants (2). Some symptoms of low vitamin A status can include poor immune function, poor night vision, xerophthalmia, and diarrhea. Some of the best dietary sources of vitamin A include liver, eggs, cheese and milk for retinol. Also, carrots, pumpkin, and sweet potatoes are a significant source of carotenoids. Vitamin B1 is a water-soluble vitamin that appears naturally in various foods. Additionally, many foods (such as cereals) are enriched with synthetic versions of the mineral. Vitamin B1 plays an important role in the generation of energy from the food we eat. Nerve signaling – plays a key role in the nervous system. We do not need a significant amount of vitamin B1 and the RDA is set at 1.2 mg for adult males and 1.1 mg for females (3). Thiamine deficiency, otherwise known as beriberi, can cause a range of symptoms including aching legs, feelings of weakness and shortness of breath. Foods that contain significant amounts of thiamine include beans, beef, nuts, pork, seeds, and trout. Many processed foods also undergo fortification with thiamine, but sticking to the whole food sources is much healthier. Vitamin B2, otherwise known as riboflavin, is a water-soluble vitamin. 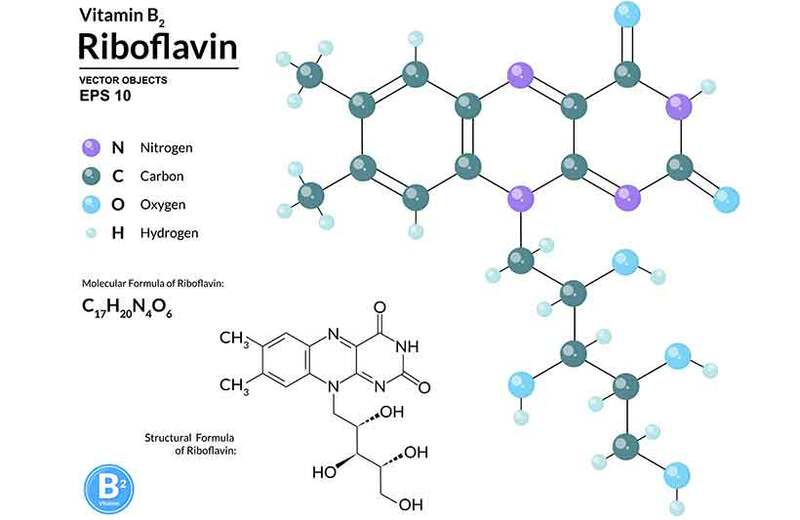 Interestingly, one of the uses of riboflavin is as a natural food coloring to give food a yellow color. 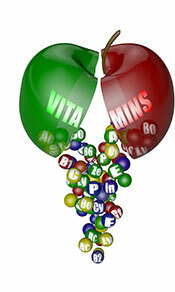 Like all B vitamins, riboflavin helps to convert food into energy. Vitamin B2 is in a wide range of foods, so deficiency is rare. However, in the case of an actual deficiency, symptoms may include hair loss, itchy eyes and scalp, sore throat and swollen lips. Severe deficiency may lead to serious conditions like anemia and cataracts. Animal foods are the best dietary source of riboflavin, and this is especially the case for organ meats like liver. Almonds, beef, cheese, eggs, and yogurt are all naturally high in vitamin B2. Niacin is a water-soluble vitamin that plays a large role in energy metabolism. Essential for the digestive system. Plays a part in the nervous system. 16 mg a day is the RDA for adult males, and a slightly lower 14 mg for females (5). Vitamin B3 deficiency may result in digestive upset, tiredness, and nausea. In more severe cases (pellagra,) depression, fatigue, memory loss and even death can occur. On the positive side, niacin deficiency is extremely rare in the developed world. Red meats such as beef and pork, beans, nuts, poultry, seafood and whole grains are the most substantial sources of niacin. Vitamin B5 is yet another water-soluble B vitamin and it plays multiple roles in the human body. Plays a role in making various hormones. Contributes to the optimal functioning of the nervous system. 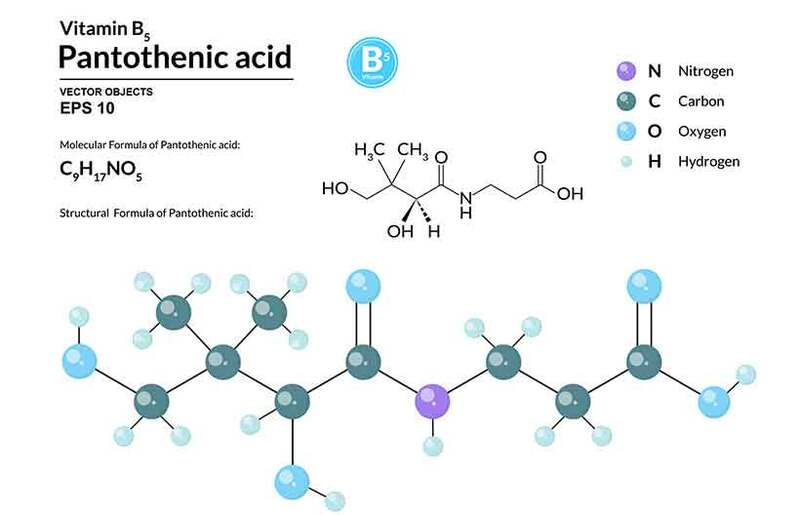 The RDA for pantothenic acid is 5 mg for adults of all ages. However, this rises to 6 mg during pregnancy and 7 mg for breastfeeding mothers (6). Similar to other B vitamins, deficiency is rare. In genuine cases of pantothenic acid deficiency, possible symptoms may include headaches, numbness, restlessness and gastrointestinal issues. Liver, shiitake mushrooms, seeds, chicken meat, tuna, and avocados contain high amounts of vitamin B5. Vitamin B6 is an important water-soluble vitamin and it is involved in numeral processes in the body. Plays a role in the immune and nervous systems. Vitamin B6’s RDA stands at 1.3 mg for adults under the age of 50. For older adults, the RDA raises to 1.7 mg in men and 1.5 mg in women (7). Vitamin B6 deficiency is also rare. However, in the case that someone suffers from it, symptoms such as confusion, depressed and lower immune function may develop. Meat, nuts, seeds, and seafood are some of the best vitamin B6 sources. Pistachio nuts, turkey, and tuna are particularly good choices. 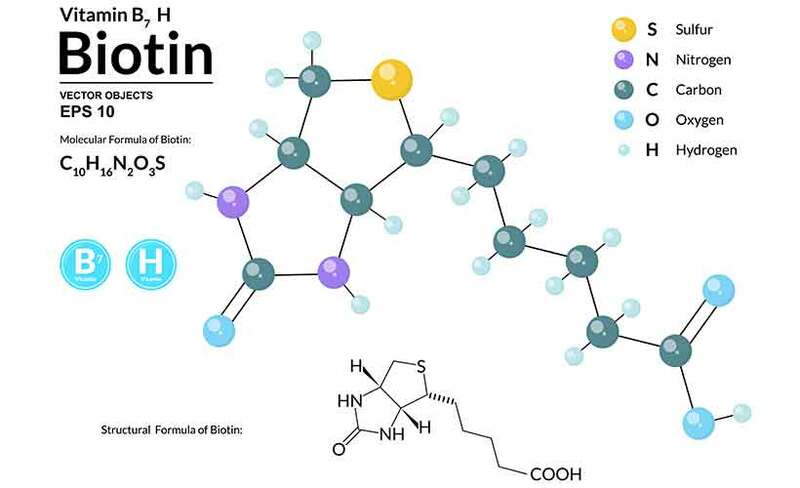 Formerly known as ‘vitamin H’, biotin is another water-soluble B vitamin, and it has numerous important functions. Necessary for the optimal functioning of the nervous system. The data for an RDA is not sufficient, but the ‘adequate intake’ (AI) value for biotin is set at 30 mcg for adults. This rises to 35 mcg in breastfeeding women (8). Biotin deficiencies are extremely rare and almost unheard of in the developed world. However, marginally low levels have been observed in alcoholics and breastfeeding women. In case of (extremely rare) severe deficiency, the symptoms are serious and can even include aciduria, seizures, depression, and hallucinations. Animal foods are by far the best source of vitamin B6. Beef liver is the most significant source, but eggs, salmon, pork, and beef are all high in the vitamin. Folate (vitamin B9) is a water-soluble vitamin that plays a critical role in pregnancy for preventing neural tube defects (NTDs). Despite the ‘vitamin B9’ name, most people refer to it as folate. Helps to ensure a healthy pregnancy. Plays an important role in protein metabolism. The RDA for average adults is 400 mcg, but this rises to 600 mcg and 500 mcg in pregnant and lactating women respectively (9). Deficiency in folate is uncommon, but folate requirements do increase during pregnancy. The primary symptom of deficiency is called megaloblastic anemia, which can lead to fatigue, heart palpitations, and breathing troubles. Some other common signs of folate deficiency include soreness and pigmentation changes in skin and fingernails. Many fruits and vegetables are good sources of folate, especially asparagus, lettuce, and spinach. Additionally, beans, lentils, meat, and seafood all contain reasonable amounts of the vitamin. Vitamin B12 is one of the most important vitamins for human health. It is a water-soluble vitamin primarily found in animal foods. Vital for the normal function of the human brain. Plays an important role in the nervous system. The RDA for vitamin B12 is 2.4 mcg for adults, rising to 2.6 mcg and 2.8 mcg in pregnant and lactating women respectively (10). Vitamin B12 deficiency is common around the world, and the leading causes are an insufficient intake of animal foods and difficulty digesting the vitamin. 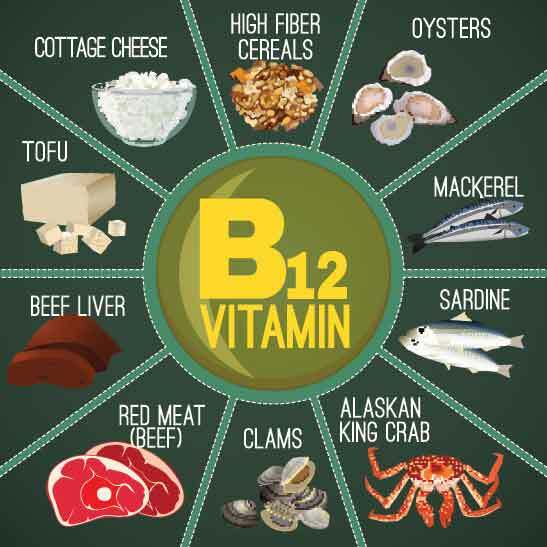 The most substantial dietary sources of vitamin B12 include eggs, organ meats, poultry, red meat, and seafood. For a detailed guide, see the top 20 foods high in vitamin B12. Vitamin C is a water-soluble vitamin that functions as an antioxidant in the body. The recommended dietary allowance for vitamin C is set at 90 mg for male adults and 75 mg for females. However, smokers are advised to increase this amount to 125 mg (men) and 110 mg (women) (11). Scurvy is the primary symptom of deficiency. In the past, many sailors developed the disease after subsisting on bread for long periods at sea. Foods with the most significant concentrations of vitamin C include green vegetables (such as broccoli and kale), bell pepper, guava and strawberries. Vitamin D is fat-soluble and it is one of the most important vitamins for our overall health. Interestingly, it is not a “vitamin” in the ordinary sense of the word. It is more of a hormone, and we can synthesize it from either food or the sun shining on our skin. Vitamin D3 (cholecalciferol) occurs in animal foods, and we can also get it from the sun. Plant foods contain vitamin D2 (ergocalciferol). There is no RDA for vitamin D, but the “sufficient” blood levels of the hormone are >50 nmol/L (>20 ng/mL) (12). Vitamin D deficiency can be severe, and it can lead to weak bones, rickets, and potentially raise the risk of chronic diseases like cancer (12, 13). The best dietary sources of vitamin D are eggs, fatty fish, cod liver oil, and mushrooms raised outside/under the sun. 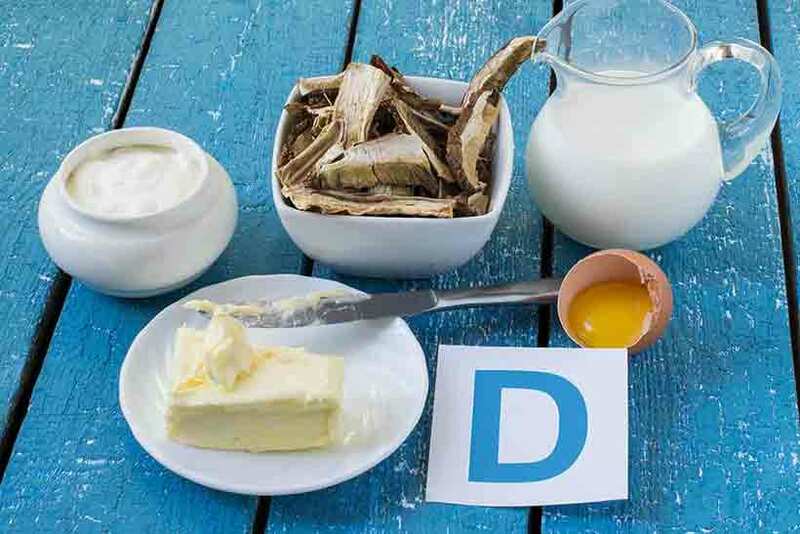 See the top 20 food sources of vitamin D for more information. Vitamin E is a powerful fat-soluble vitamin that acts like an antioxidant in the body. The recommended daily allowance for vitamin E is 15 mg for adults, and this amount rises to 19 mg for women who are breastfeeding (14). Vitamin E insufficiency is common, and many people do not get enough of this critical vitamin. However, symptoms of deficiency are very rare and usually only present themselves when someone cannot digest fat properly (vitamin E is fat-soluble). Deficiency signs can include nerve damage, loss of feeling and muscular weakness. Vitamin E is not so common, and only certain foods contain it. Green vegetables, nuts, seeds and cooking oils (extra virgin olive oil is the best choice) are all good sources. 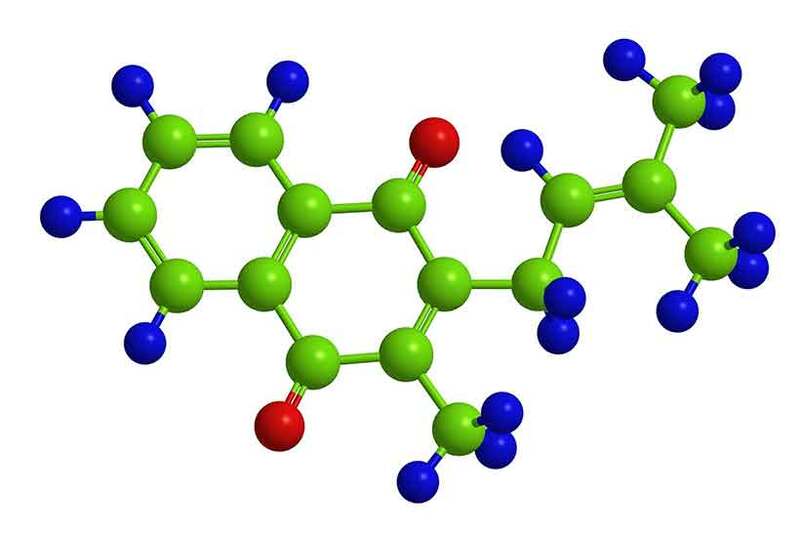 Vitamin K1 (Phylloquinone): Found in plant foods. Vitamin K2 (Menaquinone): Occurs in animal foods and through fermentation (fermented soy contains K2). There are several different types of menaquinones, and MK-4, MK-7, and MK-9 are the most widely known. All forms of vitamin K are fat-soluble, so they should be consumed with a source of dietary fat for optimal absorption. There is an ‘Adequate Intake’ (AI) for vitamin K of 120 mcg for male adults and 90 mcg for females (15). Vitamin K deficiency is unusual. However, since it plays an integral role in blood clotting, uncontrolled bleeding and hemorrhage are signs of deficiency. Natto is the most significant source of vitamin K1. Following natto, green vegetables such as collard greens, spinach and kale contain substantial amounts. In addition to K1, natto also provides large concentrations of vitamin K2. Other substantial sources of vitamin K2 include hard aged cheese and meat from pastured animals. For a full guide, here are some of the best food sources of vitamin K2. Key Point: Overall, there are 13 essential vitamins; nine of these are water-soluble and four are fat-soluble. Minerals are a type of micronutrient that we need to keep our body healthy. Since we cannot make minerals from other compounds, we consider them as essential nutrients. It is also worth noting that certain foods can impact the absorption of minerals. For example, whole grains and certain nuts and seeds are a source of phytic acid. This particular compound has a variety of positive (and negative) effects in the body, but one of the negatives is that it can impair the absorption of various minerals. Our body requires minerals (in small amounts) for various biological functions and processes. Regulation of blood pressure (and even heartbeat). Key Point: Minerals are essential because we cannot make them within our body, and they play a range of essential roles in our health. The chart below shows all the minerals that we need from our diet. While there are significantly more minerals than this in total, these are the ones that we consider ‘essential’. Now that we know what minerals are, let’s examine their function and the best dietary sources for each one. Calcium is an essential macromineral and an electrolyte, and we need to consume large quantities of it within our diet. However, our body strictly regulates calcium and prolonged excessive or insufficient intake can both cause problems. Formation, growth, and repair of bone. Dental health and strengthening teeth. For adults, the RDA for calcium is set at 1,300 mg per day. However, the recommended amount climbs to 1,200 mg for post-menopausal women and in men over 71 years old (16). Unfortunately, calcium insufficiency is relatively common and may cause long-term problems, particularly concerning skeletal health. 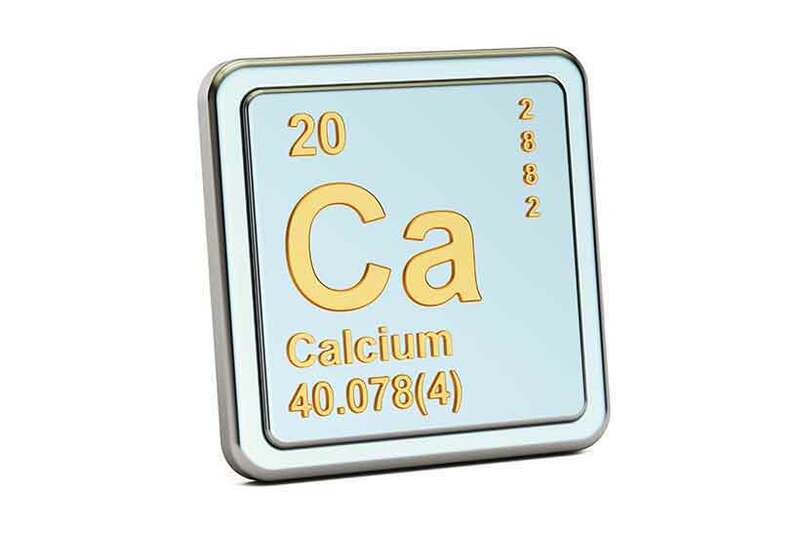 Inadequate calcium intake can eventually lead to osteoporosis, and short-term severe deficiencies can cause numbness, cramps, lethargy and an abnormal heartbeat. On the other hand, excessive amounts of calcium can lead to the calcification of soft tissue. This is mainly a risk factor if consuming large amounts of calcium from supplements. The most bioavailable source of calcium is dairy food. Foods such as yogurt, cheese, milk, and sardines are good animal sources of the mineral. These high-fat animal foods are also excellent options for anyone looking to increase their calorie intake in a healthier way. Calcium is also available (but less bioavailable) in a range of plant foods such as almonds, tofu, and green vegetables. Chlorine is one of the six macrominerals, an electrolyte, and it is prevalent in sodium-containing foods. Helps to maintain water balance. Along with hydrogen, it makes hydrochloric acid, which is important for digestion. Since salt is the predominant source of chloride, the recommendations are tightly tied to salt intake. Too little chlorine may cause side effects related to water balance, such as increased blood pressure. Both sea salt and standard table salt contain significant concentrations of chlorine. Significant amounts are in sea vegetation too. Common vegetables such as tomatoes and lettuce also contain the mineral. Chromium is an essential micromineral that interacts with the hormone insulin. Key for supporting and enhancing the effects of insulin. Plays a part in the metabolism of carbohydrates, fat, and protein. There is no RDA for chromium, but the ‘adequate intake’ is set at 35 mcg per day for adult men and 25 mcg for women. After the age of 50, this level drops to 30 mcg and 20 mcg for men and women respectively (18). Deficiency is rare, but an insufficient intake of chromium can lead to insulin resistance (18). Green vegetables such as broccoli are particularly rich in chromium. Fruit, meat, and seafood are all good sources too. Interestingly, red wine is also a significant source of chromium. Copper is a micromineral that is present in many different foods. In combination with iron, copper helps to form red blood cells. Plays a role in skeletal health. The ‘adequate intake’ for copper is set at 900 mcg per day for adults but rises to 1000 mcg for pregnant females. Additionally, it is recommended that breastfeeding mothers consume 1300 mcg per day (19). Copper is prevalent in a range of different foods, so deficiency is rare. However, long-term deficiency may lead to various problems that may include anemia, neuropathy, and osteoporosis. Cocoa (and all foods containing it) is an excellent source of copper. For this reason, dark chocolate at around 85% cocoa or above is incredibly high in the mineral. Other sources of copper include nuts, seeds, lentils and whole grains. Iodine is an incredibly important micromineral and it plays an essential role in thyroid hormones. Thyroid hormones such as thyroxine and triiodothyronine regulate several important biological processes (20). Bone growth in fetuses and infants. The iodine RDA for adults is 150 mcg per day, and this rises to 220 mcg for pregnant women and 290 mcg for breastfeeding mothers (21). Iodine deficiency is thought to affect more than 187 million people around the world (22). One reason for iodine deficiency is iodine depletion in the soil in certain parts of the world (or specific areas of a country). Seaweed is by far the most significant dietary source of iodine. 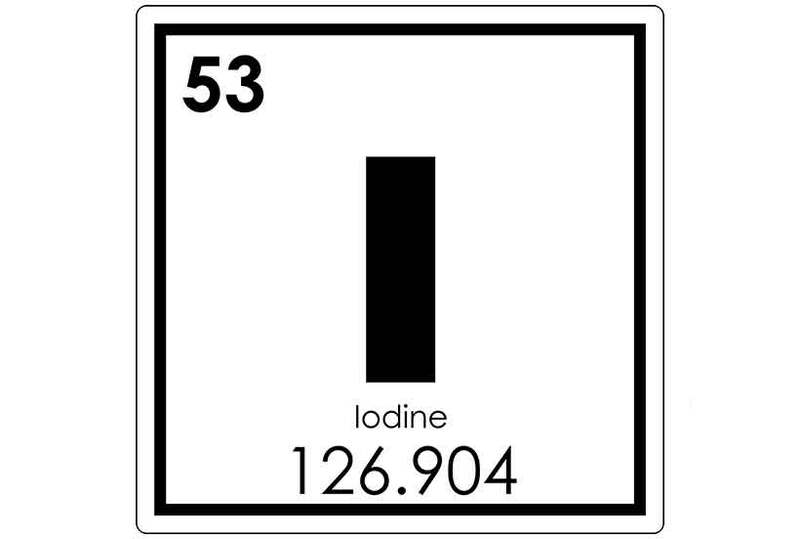 Other foods that are high in iodine include fish, shellfish, dairy foods, eggs and iodized salt. Iron is an important micromineral that is currently a ‘nutrient of concern’ for young people and pre-menopausal women. In other words; these groups of people are not getting enough iron. Boosts and supports a healthy metabolism. Red blood cell formation and function. Plays a role in the immune system. The RDA for iron in adult men is 8 mg, and for pre-menopausal women, it is 18 mg. However, the RDA is 8 mg for both sexes after the age of 51, and it rises to 27 mg for pregnant women (23). Insufficient intake of iron can lead to iron deficiency anemia, which is prevalent throughout the world. In fact, iron deficiency anemia affects between 9 to 12% of Caucasian women and almost 20% of black women in the United States (24). Red meat (and especially organ meats) are a significant source of iron. Other animal foods high in iron include oysters and sardines. On the plant side, cocoa/dark chocolate and white beans are both excellent providers of iron. Note: animal foods contain heme iron and plant foods have non-heme iron. Out of the two, heme-iron enjoys greater bioavailability. Furthermore, consuming heme iron also increases the absorption of non-heme iron. See this full guide to foods high in iron for more information on heme and non-heme sources. Magnesium is an essential electrolyte mineral. We need to consume approximately 400 mg per day of magnesium, which makes it a macromineral. Magnesium has a wealth of functions within the body, and it is a cofactor in over 300 enzyme systems. See here for a full guide to magnesium’s benefits. Required for the production of DNA and the body’s “master antioxidant” glutathione. 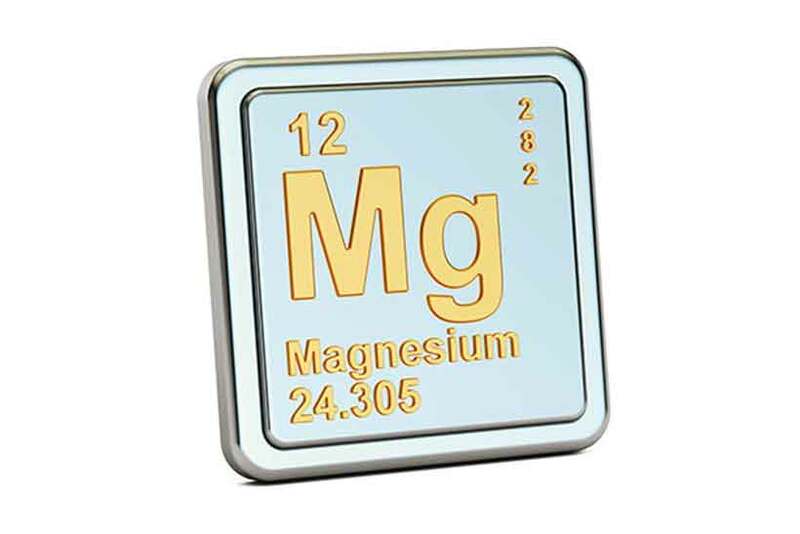 The RDA for magnesium depends on gender, and it also changes with age. For adults under the age of 30, the RDA is 400 mg for men and 310 mg for women. Adults over the age of 31 are recommended to consume 420 mg (men) and 320 mg (women) of magnesium per day. This RDA increases to 350 mg for pregnant women under the age of 30, and 320 mg for pregnant women over 30 (25). Magnesium deficiency is uncommon, but long-term insufficient magnesium intake can cause problems. Some early warning signs may include fatigue and general tiredness, feelings of weakness, nausea and vomiting. More severe cases of deficiency can cause numbness, cramps, tingling feelings in the limbs, and even seizures. Cocoa/dark chocolate is a great source of many minerals, and it is no different for magnesium. Additionally, vegetables, dairy foods, beans, grains, legumes and nuts all provide a source of magnesium. Among fruit and vegetables, avocados and spinach are a particularly good source of the mineral. Here is a full list of foods high in magnesium. 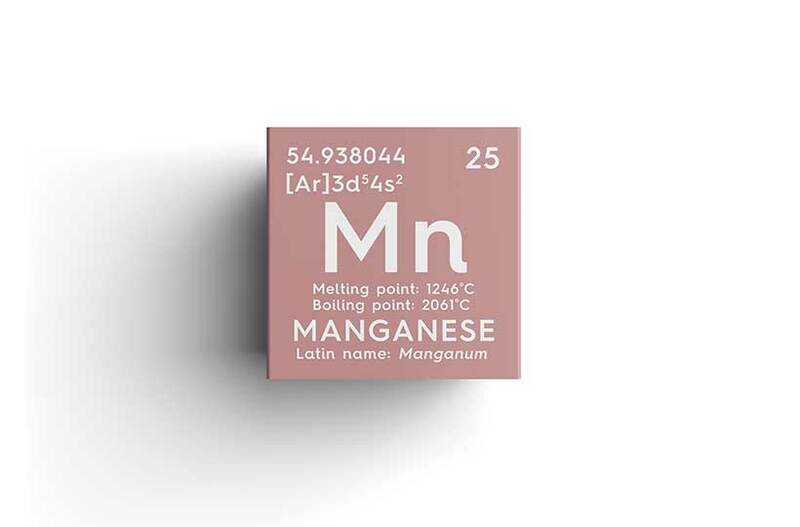 Manganese is a trace mineral that plays a key role in skeletal health. Cofactor for various enzymes involved in fatty acid synthesis. Involved in energy metabolism processes. There is only an ‘adequate intake’ (AI) recommendation for manganese, and no RDA has been set. This AI stands at 2.3 mg per day for adult males and 1.8 mg for females, 2.0 mg for pregnant women, and 2.6 mg for breastfeeding women (26). Deficiency symptoms of manganese may include impaired growth, skeletal problems, lower glucose tolerance, and worsened carbohydrate and lipid (fat) metabolism. Seafood, nuts, and seeds are among the foods highest in manganese. Hazelnuts, mussels, and pumpkins seeds are the most significant sources. Molybdenum is an essential mineral that the human body requires in small amounts, making it a micromineral. A cofactor in the production of various enzymes. The molybdenum RDA for adults of all ages is 45 mcg per day and rises to 50 mcg for pregnant females (27). Deficiencies in molybdenum are virtually unheard of. However, based on one rare case, the deficiency symptoms may include rapid heartbeat, headache, and potentially coma. The most concentrated sources of molybdenum are fruit, grains, legumes, and nuts. Phosphorus is one of the six major minerals – a macromineral. The RDA for phosphorus is 700 mg per day for men and women (28). A wide variety of foods contain phosphorus, so deficiencies tend to be low. The medical condition ‘hypophosphatemia’ refers to low blood levels of phosphorus. Symptoms can include muscle weakness, rickets, loss of appetite, anemia and numbness/tingling in feet and hands. Dairy foods, meat, and seafood are all excellent sources of phosphorus. Among these groups, hard types of cheese like Parmesan and Romano are very high in the mineral. Seafood like salmon, tuna, and various shellfish are also good sources. 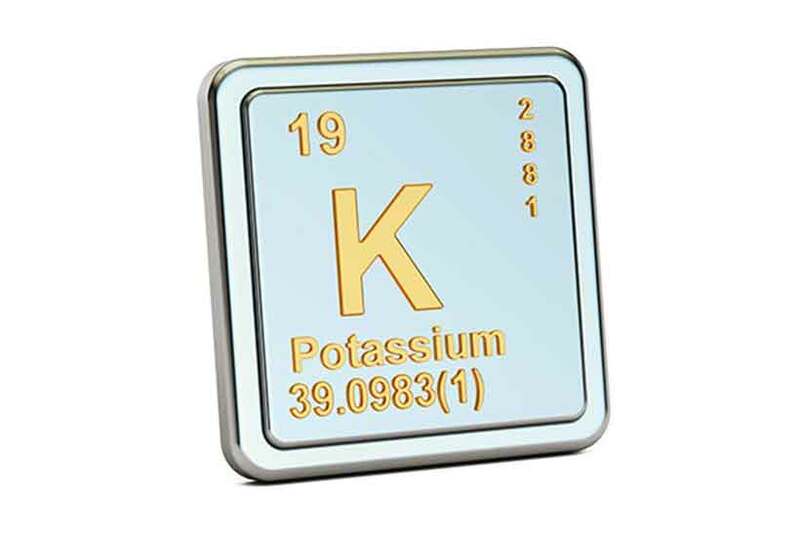 Potassium is a major electrolyte mineral that our body tightly balances with sodium. Key role in the nervous system. Regulates blood pressure alongside sodium. The adequate intake (AI) recommendation for potassium is set at 4,700 mg for men and women (29). Most people consume less potassium than the recommended intake amounts. Most notably, a deficiency in potassium can raise blood pressure. In fact, the sodium-potassium balance is arguably a lot more important than sodium restriction for blood pressure regulation (30). Low potassium levels (hypokalemia) may also cause symptoms such as constipation, muscular weakness, and fatigue. The best sources of potassium include seafood such as salmon and clams, avocados, potatoes, and leafy green vegetables. See this guide to foods high in potassium for more information. Selenium is a trace mineral that is especially important for thyroid health and protection against oxidative stress. Key role in the immune function. The selenium RDA is 55 mcg for adults, 60 mcg for pregnant women, and 70 mcg for lactating mothers (31). Selenium deficiency may lead to certain illnesses such as Keshan disease, a kind of cardiomyopathy (32). It can also affect fertility levels. That said, selenium deficiency is rare in the developed world. Brazil nuts are the most substantial dietary source of selenium. In fact, eating more than a few brazil nuts per day can lead to selenium toxicity because they are so high in the nutrient. Oysters are also very high in the mineral. Other good sources of selenium include eggs, meat, poultry, and seafood. For more, see this in-depth guide to the richest food sources of selenium. 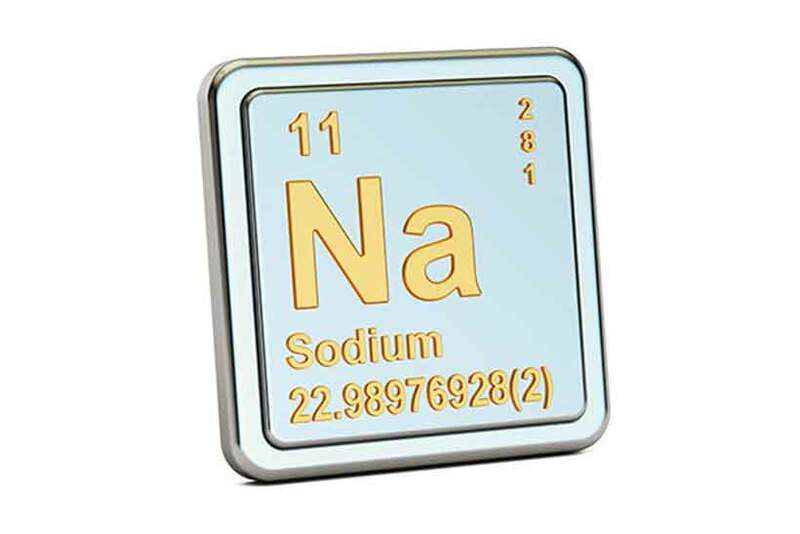 Sodium is another macromineral which functions as an electrolyte in the human body. Plays a role in the nervous system. The ‘adequate intake’ level is set at 1.5 mg for adults and 1.3 mg for those over the age of 51 (33). Insufficient sodium intake (or possibly excessive water intake) can cause hyponatremia. Hyponatremia refers to low levels of sodium in the blood, and it may cause headaches, nausea, weakness, fatigue, cramps, and fainting. Salt is the best source of sodium, and any food using salt will have high concentrations of the mineral. For example, soy sauce, soups, and broths, olives, salted nuts, and pickles all contain large amounts of sodium. Zinc is a trace mineral that we require in small amounts, and it plays a variety of roles in the human body. 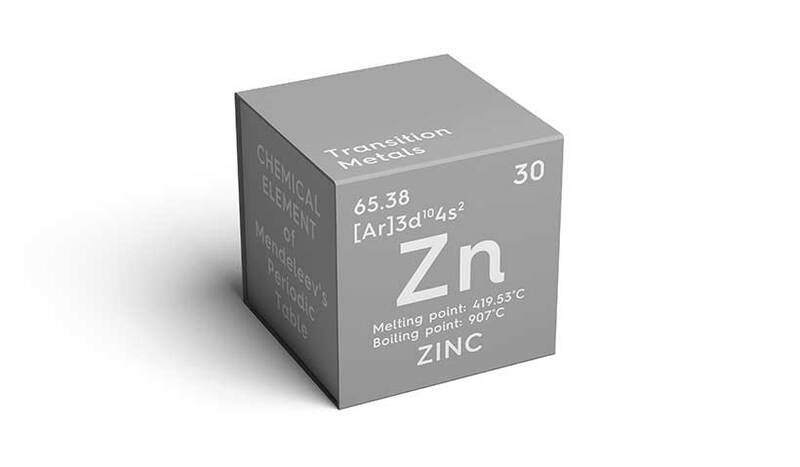 The RDA for zinc is 11 mg for adult men and 8 mg for adult women. For pregnant and lactating women, the RDA increases to 11 mg and 12 mg respectively (34). Signs of zinc deficiency may include impaired growth, loss of appetite, and an impaired immune system. Also, severe deficiency can cause symptoms such as hair loss, impotence and weight loss. Seafood is the most substantial source of zinc and oysters, crabs, lobsters and other shellfish are all very high in the mineral. Additionally, red meats such as beef and lamb contain significant concentrations of zinc. The Japanese fermented soy dish ‘natto’ is also relatively high in zinc. Key Point: All in all, there are 14 minerals that we class as essential. We require six of these (macrominerals) in high amounts, and four (microminerals) in lower amounts. There is a wide variety of essential vitamins and minerals, and we should be able to get enough of most from our normal diet. However, it is important to get enough sunlight (or supplement wisely) for vitamin D.
Vitamin E is also a vitamin that can be harder to get in sufficient amounts, but nuts and extra virgin olive oil are two great sources. Other than that, the avoidance of animal products can make it hard to consume enough vitamins and minerals. This is especially the case for vitamin B12 and minerals such as iron and zinc. As a result, people following vegan/vegetarian diets should plan their diet carefully and supplement wisely. The Dark Side of Supplementation: More Cancer and Heart Disease?